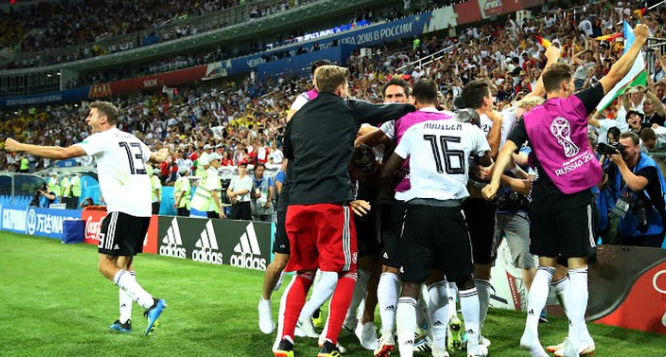 Defending champion Germany came on to the pitch with shocking defeat against mexico by 0-1 at the begining of the FIFA World CUp 2018 campaign. Whereas Sweden successfully bagged 3 points against South Korea with 1-0 victory. 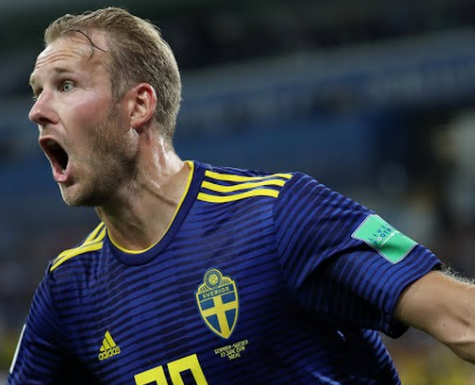 Germany had to win this game in order to advance to Round of 16, whereas Sweden would be happy to end the game with a point or with a victory if possible. first place. Rudy made an early exit due to blow on the nose on 25th minute . he couldnot continue so Gundogan has to come in to replace him. 32'Goal !!! that was a beautiful finish over the keeper Neuer by O. Toivonen on 32nd minute. Germany paid a price when Toni Kroos Missed pass the ball to swedish player. its sweden 1-0 on the first 45 minutes of the game. 47' Marco Reus gave an equaliser on 47th minute assisted by Mario Gomez, who just came as a substitute in the start of the 2nd half, which really gave german side a huge strength to get back on to the game. 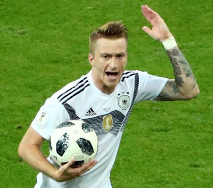 Marco Reus missed another golden chance to give german side a lead on 61th minute. When he tried to backheel the ball on the back of the post where he could not touch the ball German side kept pressure on swedish side. But J. Boateng suffered 2nd yellow on 81st minute and walked out of the pitch. Germany played last 10 minutes with one man less. Sweedish Goalkeeper, Robin Olsen also denied super header by Mario Gomez on 88nd min. J. brandt's shot hit the 2nd bar in injury time also denied germany for 3 points. 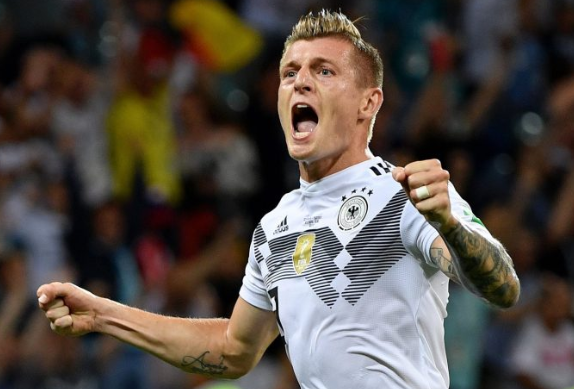 And germany did it , that smart play by Toni Kroos to Marco Reus on a free kick and that stunning shot from Toni kroos bagged 3 points for germany. Germany is back. they have a full hope of going to round of 16 when they meet south korea , whereas Sweden have to win over Mexico.